The most versatile tool in your attachment arsenal. The strength of the Industrial Grapple Rake allows you to pick up a variety of debris, from logs and brush to rocks and concrete. 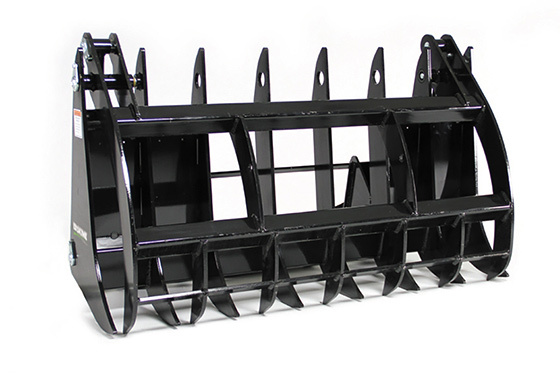 Quality T-1 steel used throughout gives you a grapple rake that withstands the toughest demands. The 48”opening and powerful jaws will close, clamp, and hold virtually anything.